Anyone who regularly works on cars benefits from purchasing a high-quality automotive parts washer. The part washer removes dirt, oil and other contaminants from different automotive parts. These parts range from the smallest nut, bolt or screw to engine blocks and transmissions. There are three main kinds of automotive parts washers to choose from. These are the drum mount model, the sink-basin washer and the spray wash cabinet. All of the models work via the same process – load the parts, add the solvent/detergent and allow the heat and mechanical energy to clean away. 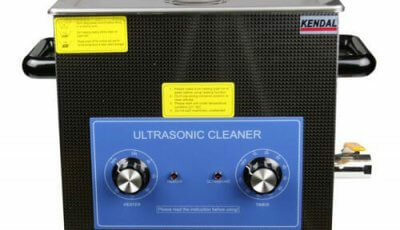 You might also be interested in ultrasonic parts cleaners for your auto and engine parts cleaning. The drum mount model is by far the most popular. As the name implies, this is a large drum, typically thirty gallons or more. Place the dirty parts into the drum and add cleaner/solvent to allow the washer to work its magic. The drum mount model is beneficial in its ability to quickly and effectively wash a high volume of parts at one time. The sink basin washer is exactly what it sounds like. Place the parts in a large basin that fits within most large industrial sinks. Soak the parts to loosen any grime before adding a solvent and washing the oil and grease away. 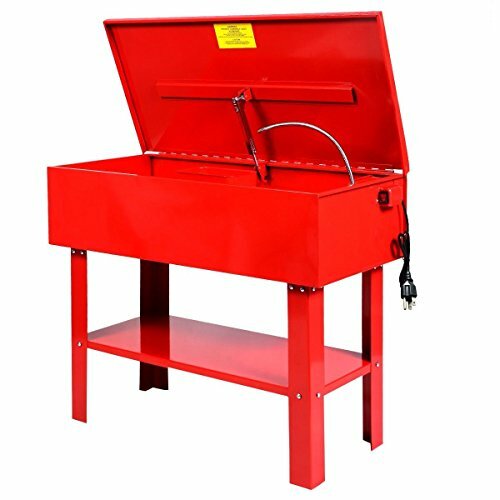 The spray wash cabinet is ideal for washing larger automotive parts, such as the transmission. The best auto parts washer is reliable, effective and durable. 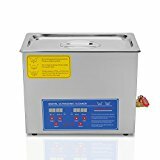 Below is a listing of top rated automotive part washers on Amazon. 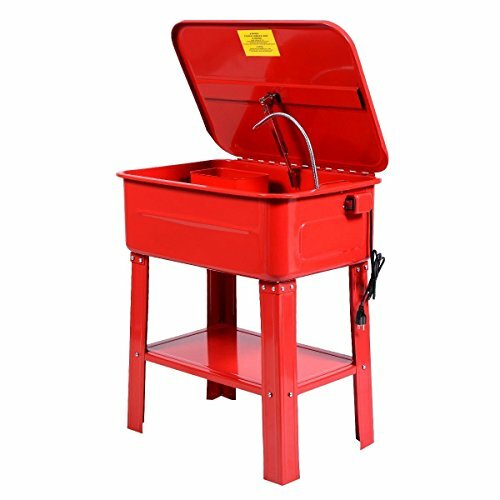 The Goplus Parts Washer is made from carbon steel. 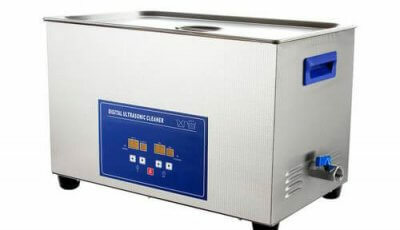 It uses a water-based non-corrosive solvent to safely and quickly clean auto parts. Its durable design resists rust and corrosion. It endures repeated use without showing any signs of wear and tear. It is self-standing and very stable. This is an electrical washer. 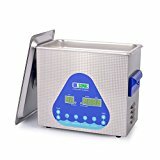 It uses an enclosed pump paired with a solvent rinse to save time and labour. The parts emerge clean, shiny and free of corrosion and/or dirt. The tank holds twenty gallons, and there is even a removable shelf to accommodate larger parts. There is also a smaller wash basin to accommodate smaller parts. The product has important safety features as well. Its heat-resistant lid closes automatically. This prevents the danger of fire and heat damage. The enclosed pump uses recirculation for quick, effective parts washing. Remove grease, oil and all other grime with minimal labour. The steel design is very durable, complete with a removable work shelf. 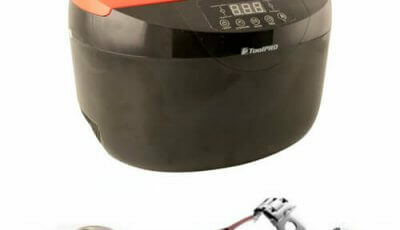 The nozzle adjusts to ensure the cleanliness of each and every part inside the twenty-gallon drum. The pump can output more than three hundred gallons per hour. It can also recirculate over three gallons of solvent in the same time frame. This is one of the most effective automotive parts washer pumps available on the market. It has a fire safety lit for preventing accidents as well, coupled with an indicator light. 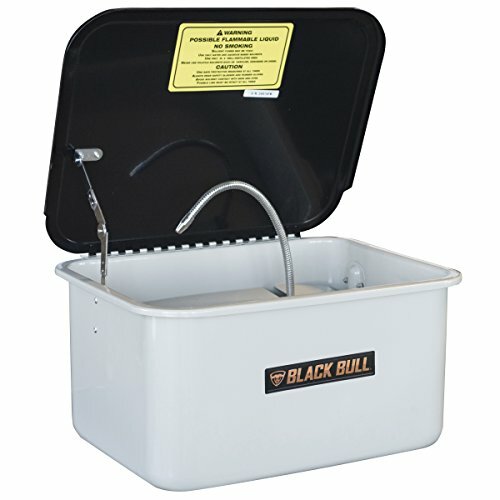 The Black Bull PWASH20 model is designed for heavy cleaning. Its pump is strong and can last washing for long. This is one of the best auto parts washers for smaller-scale needs. The five-gallon tank has a maximum output flow of twenty-two gallons per hour. 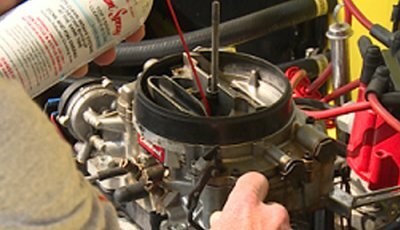 It is small in size, yet it is still very effective at cleaning the dirt and grime away from auto parts, such as carburetor, nuts and bolts. 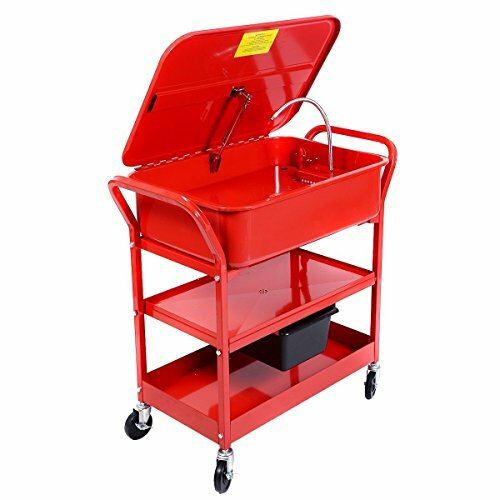 Compared to other automotive part washers with a larger drum capacity, the Black Bull PWASH35 is very portable and easy to transport from place to place. The convenient tray is easy to remove. 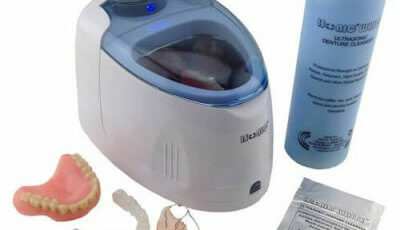 Its drainage holes quickly whisk away water, so you are able to closely inspect and quickly dry your freshly washed parts. 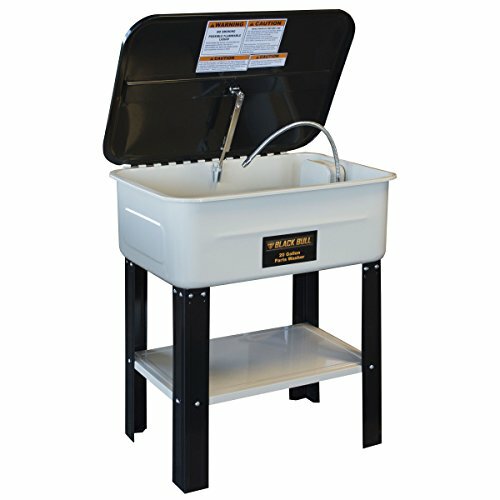 This 5-gallon parts washer come with the 120 Volts / 60 Hz water pump. It can output the max of 210 gallons per hour to pump the dirty liquids. However, many previous buyers complain its cheap plastic pump, as it is very easy to be broken. Most of the one-star rating reviewers just report their pump stop working quickly. They are disappointed. The stable design allows for repeated use without incurring damage. Likewise, the rugged carbon steel design is extremely durable and resistant to damage. The large drum capacity permits washing of parts from very large to small. There is a smaller tray included for smaller parts. At the end of the cleaning process, simply pull the drain plug for the mess-free cleanup. 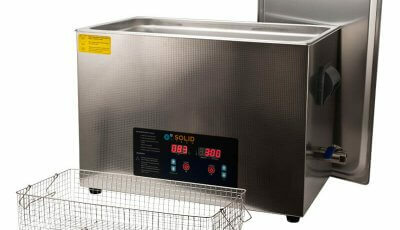 Easy to assemble and maintain, there is a separate drying tray that is virtually effortless to clean. Many old customers complain its packaging, as some arrived with scratches, bent legs and lid and even totally broken. Manufacturers should work on package improvement to resist dropping and squeezing during the delivery. The Goplus 40 Gallon washer uses the enclosed electric submersible pump but appears to be a plastic cheap one. It might not satisfy some of the users. The advantage of this product is its mobility. Four separate swivel casters provide maximum convenience and range of movement. The twenty-gallon tank has a removable shelf to accommodate larger parts. The drying shelf is coupled with a drain tank for easy cleanup. Likewise, there is also a slide-out work tray that is removed for easy cleaning as well. Kafco oil eater works great with this parts washer, however, it also comes with the warning of “must use non-corrosive, and water-based solvent”. The wheels standing also offer the convenience of mobility. Moving to save space is very useful especially in a small home shop. Basically, the Goplus 20 Gallon parts washer works just as what most people expected. However, occasional buyers reported its pump does not work as long as it should be. The reason might be some corrosive solvent they use. The corrosive solvent can melt down pump quickly. 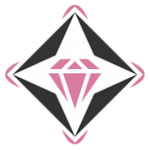 Just read the use guidance carefully and pay attention to the warning notes before power up. Please also check our other parts cleaners reviews and cleaning guide on industrial business.